oh, hey, i can knit again! This Spring semester has been pretty brutal on a whole bunch of levels, but now I’M DONE! 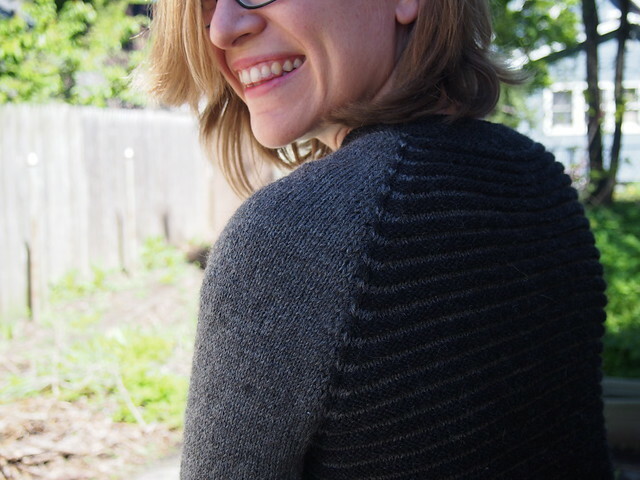 I submitted and sealed my grades today, which means now I’m down to just the baseline level of research/meetings, which means I CAN KNIT AGAIN! And the first thing on my to-do list was knitting sleeve #2 of my grown-up Elle Melle. 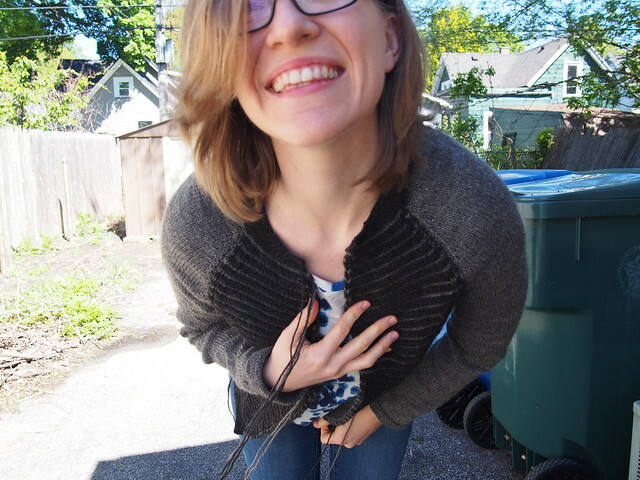 I finished it last night, and then moved onto the neckline this morning, and look, it’s almost finished! Just button bands left to knit (and then a whole lot of end-weaving), but that’ll take some math, and I might need my brain to recover from non-stop final portfolio grading a bit before I’m up for that. Look at the pretty raglan line! 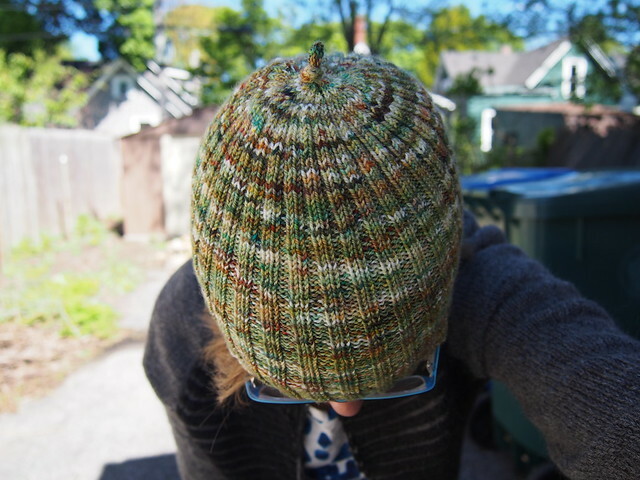 …like this 2×2 rib hat. 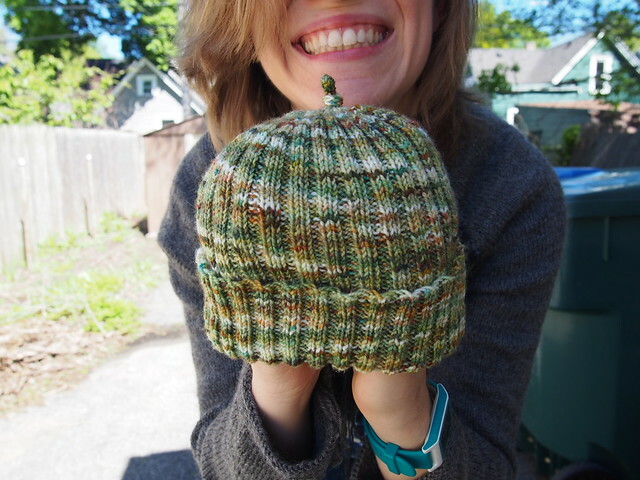 It’s a replacement for the hat I knit for a friend’s baby. That hat got lost, and since baby had grown in the meantime, I made his hat a bit bigger. I know it looks impossibly narrow in the first photo, but it really does stretch! It even stretches to fit MY head! I have SO many knitting plans for this summer, friends…far too many to actually make happen, given that I’ve got research work and travel and upcoming jury duty and cleaning up/clearing out our oh-so-messy house both inside and out (a 1000sqft house plus 3 people, one of whom creates an entire living-room full of art/engineering projects on a weekly basis, and the other two of whom work full time and are too tired to do much cleaning, can get *awfully* bad if neglected for most of the span of that first one’s life). 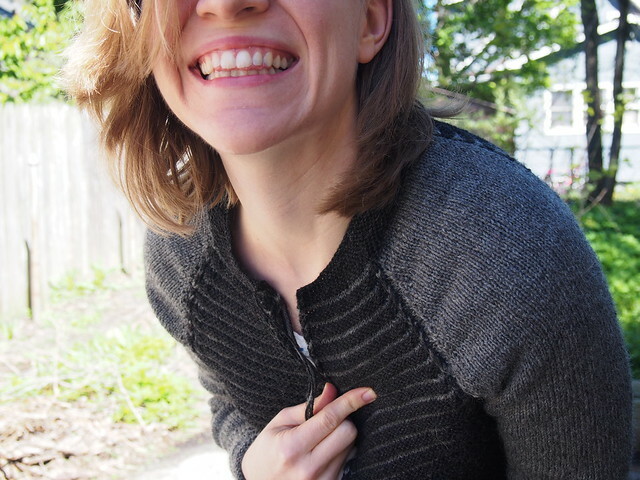 But the next thing on my list, once I finish Elle Melle, is my Fiddlehead Yoke cardigan. 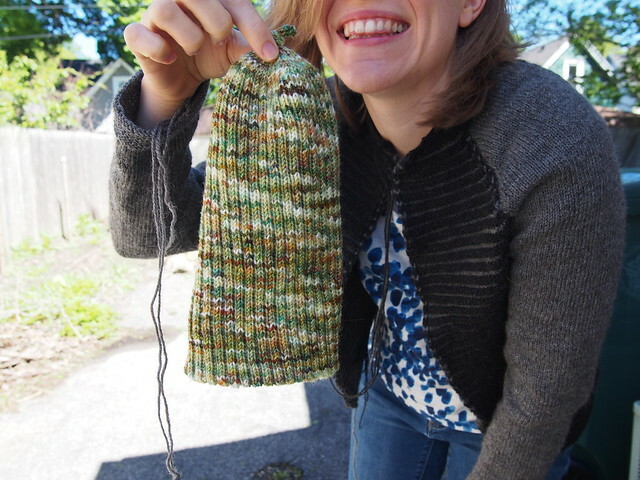 I’ve got the yarn, I’ve got the design mapped out…it is GOING to happen this summer! That sweater is beautiful! I love the dark neutrals. What is it about this time of year? The long daylight hours and everything growing outside fuels my feelings of inspiration but even though the semester is over, I still don’t have that much time. Sigh. 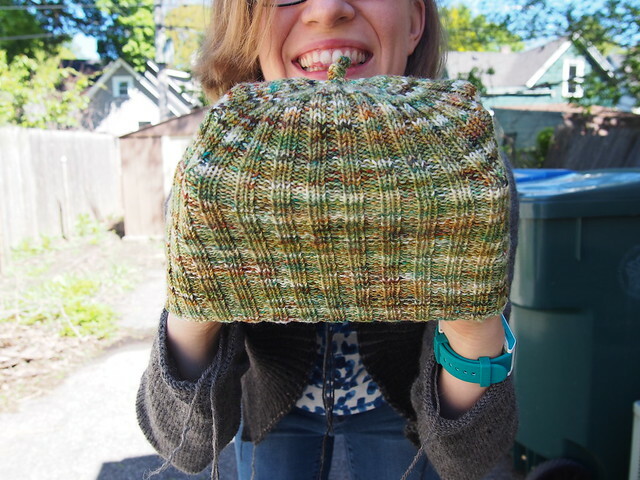 YAY KNITTING! This semester seemed particularly rough/busy. I’m so glad you get some time for other things now!